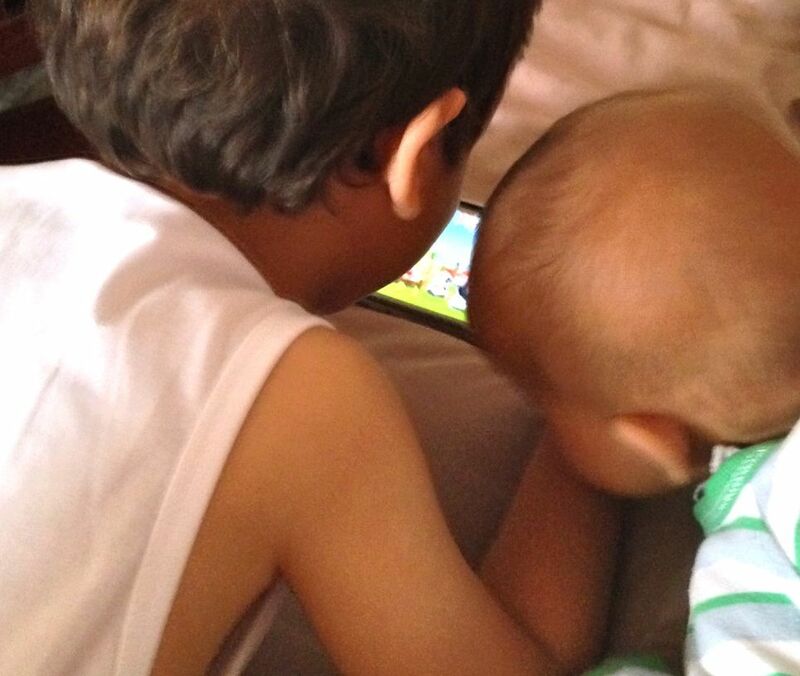 As the mother of two young children and the holder of a Facebook account, I am often tempted to update the world on the latest antics of my little munchkins. My concern that my children will grow up thinking that they, like a member of the Jolie-Pitt clan, are special for doing nothing at all, and will develop some kind of narcissistic personality disorder. Cast your mind back to the immense joy and pride you felt each time you brought a boyfriend/ girlfriend home to meet your parents, and the old family albums were dredged out to expose you in your unadulterated, gummy grinned/ saggy nappied/ buck toothed/ monobrowed/pimply glory. Imagine if those photos were available to your boss, your workmates, a prospective employer, or your arch nemesis back in high school. Now imagine that a random stranger got hold of one of these unflattering photos, turned it into a meme which was viewed by millions, and you are now a laughing stock around the world..
As parents we don’t tend to ask our children if we can photograph them, nor do we ask them before we publish these photos online. Older children may be in a position to say yes or no, but many of the millions of babies and toddlers whose photos are posted on Facebook everyday can barely talk, let alone grant a considered approval to having their images posted online. Sure, some kids may look back at the images of themselves posted online one day and thank their parents for this electronic repository of their development, but they didn’t really have much choice in the matter, did they? As a parent, I just think we owe our kids some degree of respect by protecting their privacy until they are old enough to make their own choices about something which could have a major impact on their lives later down the track..
And then there’s the risk of your account being hacked and images being accessed and downloaded without your knowledge or consent. Just a quick online search shows how easy this is, with numerous sites offering you tips on the best way to hack into your girlfriend’s/boyfriend’s/son’s/daughter’s/victim’s account. If the recent experience of female celebrities having their cloud accounts hacked has taught the rest of us one thing, it is that it would be naive to think that your privacy is safe on the Internet. I worry that the over zealous photography of our progeny may give them the impression that they are some kind of Aryan uberchild. Afterall, why else would every moment of actual and/or perceived cuteness need to be preserved for the betterment of future generations? Constant snapping photos of your children could lead them to feel superior to other members of the family. Some experts are also worried that being constantly photographed might make a child become critical about their appearance, or perhaps even attribute an unnecessary level of importance towards their appearance or behavior needing to be ‘cute’ in order to attract more attention to themselves. The raising of children is such a personal and sensitive process, and I probably won’t know until my kids are old enough to tell me whether these concerns are valid or unnecessary. I just know that the reason that I take photos is to preserve memories of my family as a private process, shared on special occasions with loved ones yes, but not as a daily advertisement of our lives..